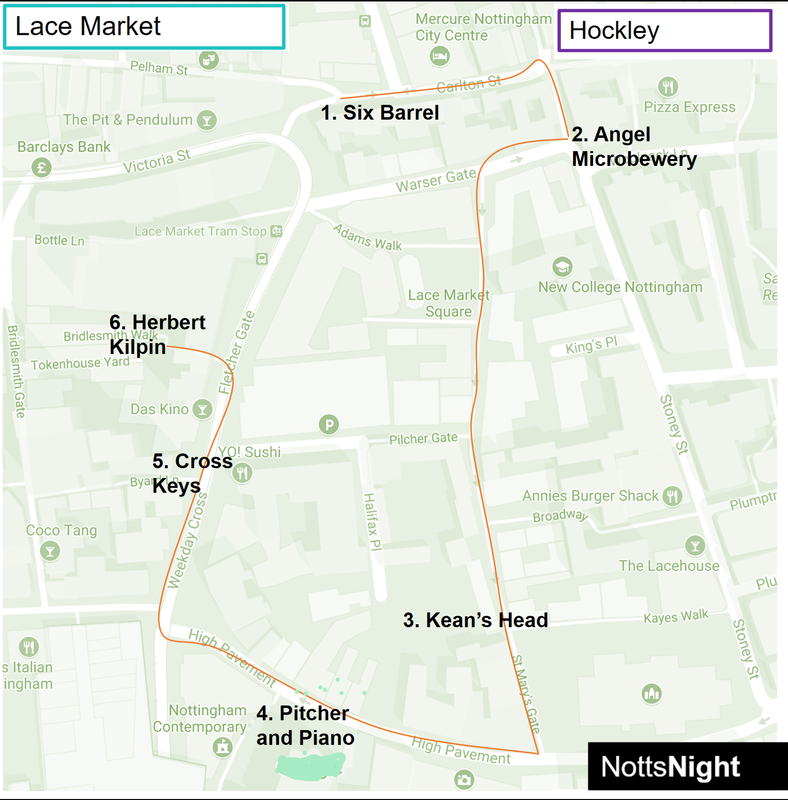 On this trail, you’ll weave your way around some of the oldest parts of medieval Nottingham. In terms of drinks, buildings and atmosphere, there’s a great mix and great choice – sampling both ales and craft beers. Continue reading or download a PDF to your device. Starting at Carlton Street at the top of Hockley is the Six Barrel Drafthouse (1). At busy times, this place can be rammed, but be patient and look upwards while you’re queueing to select your ale. The crowds here seem to disappear as fast as they gather – and waiting ten minutes can secure you a table. Out of the door, turn right and head down Carlton Street and right again onto Stoney Street for a legendary Nottingham bar The Angel Microbrewery (2). Since its complete refurbishment in 2016, this place is far more tolerable than they days when you’d literally stick to the floor. As the name suggests, craft beer is brewed on site – often unpasteurised, so don’t be put off by a cloudy pint. As you walk out you may be greeted by the tempting smells form the Lace Market Fish Bar – and if your stomach is empty a cone of chips should be more than enough to keep you going. Head up Warser Gate and left along St Mary’s Gate, glancing skywards to see the sharp contrast of old and new buildings before arriving at the Kean’s Head (3). If you’ve been craving real ale, you’ll find a large selection of Castle Rock beers here and rotating guest ales. In the winter, wrap up to avoid the icy blast from the door. Turn right and right again onto High Pavement, and you’ll soon see the old church across the road which is now home to the Pitcher and Piano (4). The sheer size of the interior is impressive, but scale is sometimes unfortunately matched by slow service. If it’s too busy, continue along High Pavement, carefully crossing Fletcher Gate. Just to the left you’ll see The Cross Keys (5), a far more traditional watering hole. Navigation Beers dominate the bar – of varying colours and strengths, and all brewed less than a mile away. Be sure to look for the painting of Byron Clough (and that’s not a spelling error). Walk up Fletcher Gate, and look carefully for the alleyway just before the Ibis Hotel for your final stop at The Herbert Kilpin (6). Like the Angel, this place is geared up more for craft beers than real ale – though is far less hipster than it’s trendy brother next door, The Junkyard. If you’ve made it this far and managed a pint in every venue, well done! Nottingham Express Transit runs frequent tram services from the Lace Market stop to Hucknall, Clifton, Beeston and Chilwell. 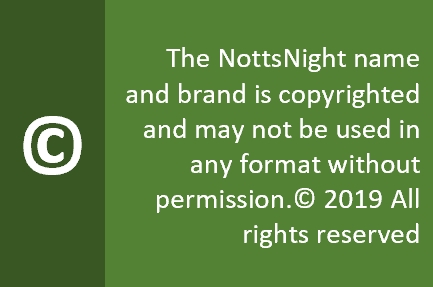 If you’re travelling by train you can also connect with this service at Nottingham station.